Remember Michigan’s Great Blizzard of 1978? Let me tell you sumpin’ whippersnappers. Back in my day, we measured snow in feet, they never closed school, we walked, and we liked it! Sorry to yell. But all the talk of 2011’s Snowpocalypse, Snowmaggedon, #snOMG has me reading up on my weather history. And about The Great Blizzard of 1978. Back in Jan. 26-27, 1978, Traverse City’s snowfall ranged from 22-28 inches and the city was unofficially shut down. 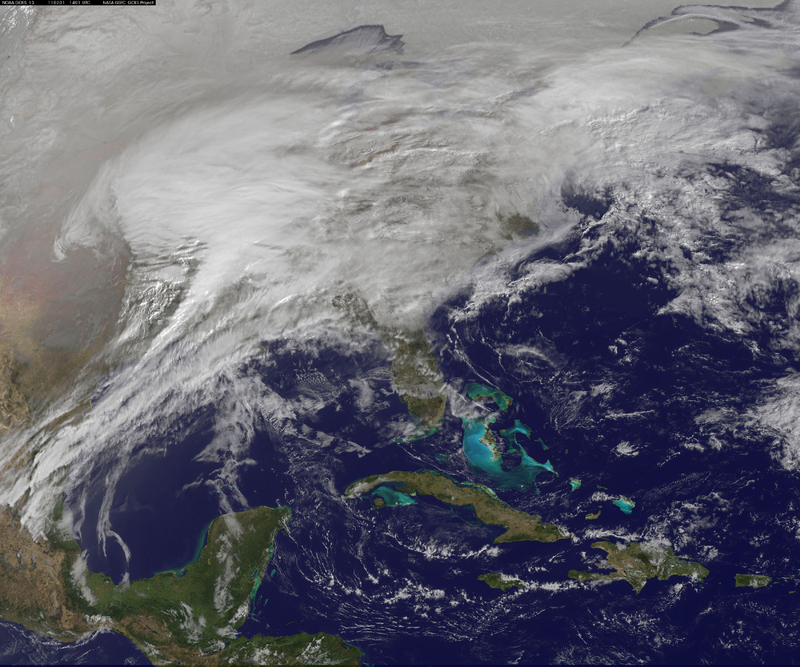 “A Great Storm is Upon Michigan” read a National Weather Service headline on the morning of Jan. 26. That was followed by hurricane-force winds, extreme blizzard conditions, and about 20 people died. Snowfalls for the entire storm included 30 inches in Muskegon, according to the National Weather Service. What do you remember? I’ll be digging through my old photo albums. Stay safe. — Photo from the (much-hyped) Great Blizzard of 2011. NASA. I don’t remember when it was, I think the 70s, I was living in Ohio at the time, but it snowed so much that it was demed the first time in histoy that the mail could not get to any mail boxes. We lived 6 miles north of Elk Rapids and couldn’t get out only by snow machine for 4 days. There was a 20 foot high drift across the road, the county had to bring in special equipment to open!